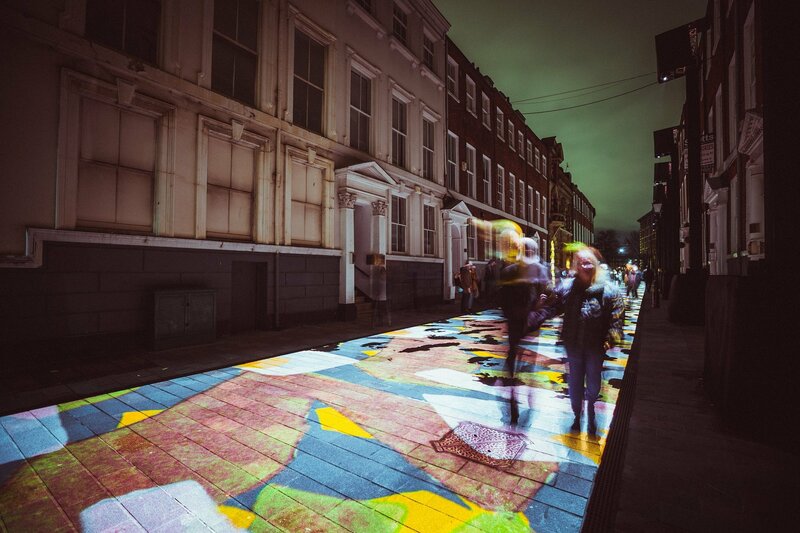 A Hull School of Art and Design student will have her textile designs brought to life this week alongside those of celebrated Hull-textile designer Shirley Craven as the city is illuminated in Urban Legends: Northern Lights. Absolutely Cultured’s newly commissioned four-day outdoor event starts on Thursday 29 November, and will feature captivating projections and atmospheric soundscapes, as six artists explore the connections between Hull and the countries across the North Sea in Northern Europe and Scandinavia. Alongside acclaimed national and international artists, second-year student Toni Lee (20) will have her designs illuminated in Avenue, by Newcastle-based NOVAK. The installation explores the iconic textile designs of the 20th century from Hull and Västra Götaland in Sweden. Inspired by the stories and references woven into and printed onto the designs, this new installation will bring Toni’s designs to life alongside iconic designs by Shirley Craven and the Hull Traders, interwoven with patterns influenced by the work of Sven Fristedt and Borås Cotton, created by textile desiger Hazel Dunn and NOVAK. Acompanying the projected designs will be a multi-channel sound piece by celebrated artist and musician Ed Carter, creating a sweeping, synchronised sonic tapestry extending the full length of Parliament Street. Inspired by the textile heritage which links Hull and Västra Götaland in the west of Sweden, Avenue celebrates the iconic textile designs of the 20th century to the present day, all interwoven with historical and mythological stories which span the North Sea and connect these two locations. Adam continued: “As well as celebrating Hull’s past we also wanted to reference the present and the future by incorporating the modern influences of a 21st Century student. We approached Hull School of Art and Design and Toni got in touch with her designs, which were just perfect. Urban Legends: Northern Lights begins on Thursday 29 November until 2 December. It takes place in Hull city centre, from 5pm until 10pm and is free to attend.